Pyramid encourages standard Python development practices with packaging tools, virtual environments, logging, and so on. There are many variations, implementations, and opinions across the Python community. 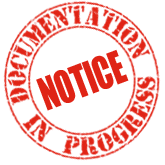 For consistency, ease of documentation maintenance, and to minimize confusion, the Pyramid documentation has adopted specific conventions that are consistent with the Python Packaging Authority. Python 3.7. Pyramid fully supports Python 3.4+. This tutorial uses Python 3.7.
venv. We believe in virtual environments. For this tutorial, we use Python 3's built-in solution venv. pip. We use pip for package management. Unix commands. Commands in this tutorial use Unix syntax and paths. Windows users should adjust commands accordingly. Pyramid was one of the first web frameworks to fully support Python 3 in October 2011. Windows commands use the plain old MSDOS shell. For PowerShell command syntax, see its documentation. See the detailed recommendation for your operating system described under Installing Pyramid. In the above figure, your user home directory is represented by ~. In your home directory, all of your projects are in the projects directory. This is a general convention not specific to Pyramid that many developers use. Windows users will do well to use c:\ as the location for projects in order to avoid spaces in any of the path names. Next within projects is your workspace directory, here named quick_tutorial. A workspace is a common term used by integrated development environments (IDE), like PyCharm and PyDev, where virtual environments, specific project files, and repositories are stored. This tutorial will refer frequently to the location of the virtual environment. We set an environment variable to save typing later. venv is a tool to create isolated Python 3 environments, each with its own Python binary and independent set of installed Python packages in its site directories. Let's create one, using the location we just specified in the environment variable. It's always a good idea to update to the very latest version of packaging tools because the installed Python bundles only the version that was available at the time of its release. See also Why use $VENV/bin/pip instead of source bin/activate, then pip. We have our Python standard prerequisites out of the way. The Pyramid part is pretty easy. We'll also install a WSGI server, Waitress. Our Python virtual environment now has the Pyramid software available as well as the waitress package.